More than anything else, this has been a season about silencing the haters and doubters. 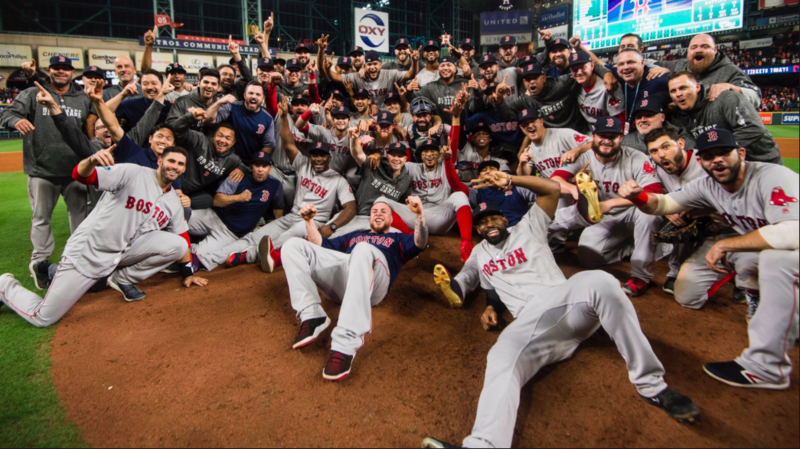 The Red Sox won back to back AL East titles in 2016 and 2017, but only had a single playoff win to show for it. Mookie Betts followed up an MVP runner-up season with a step back last year. Jackie Bradley Jr is a killer outfielder who couldn’t hit his way out of a paper bag. Alex Cora was a first year manager taking over the team with baseball’s largest payroll. David Price had more than enough demons to deal with. JD Martinez was a premier free agent signing, but he wasn’t Giancarlo Stanton. And that’s just scratching the surface. 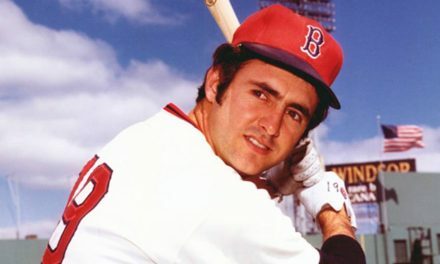 The list of question marks entering this season seemed endless.The Sox responded for seven months with nothing but definitive, defiant, and resounding answers en route to a franchise record 108 wins. Even so, the questions started creeping in once more after a tough game loss to the Astros. Boston rose to the challenge yet again. 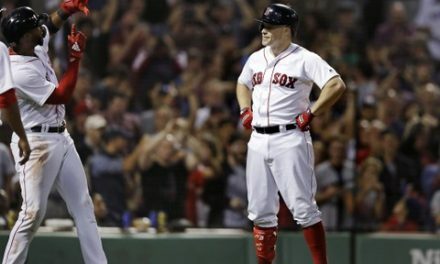 On Thursday night, the Red Sox won their 115th game of the season to punch their ticket to the World Series, beating the defending champs in 5 games. Any questions anyone had about this team has been officially rendered moot. Game 5’s story starts with David Price. 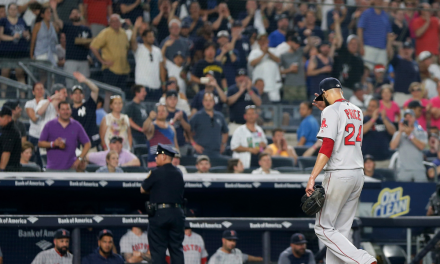 With Chris Sale sidelined an extra game with a stomach illness, and the bullpen taxed to the limit, Boston needed their most expensive player to come through. Price, finally and triumphantly, delivered. The left-hander tossed 6 shutout innings, allowing only three hits and striking out 9. He had all his pitches working, and located them with ease. Price has gotten so much flak for his past postseason struggles, but he absolutely rose to the challenge in a huge spot last night. As John Lackey can attest, the quickest way to win over Red Sox Nation is to win in October. It looks like Price is well on his way to doing just that. Martinez was 1-11 through the first three games of this series, but he turned it on in Games 4 and 5, going 4-7 with a HR and a pair of RBI. If he can keep it going through the World Series, the Brewers or Dodgers will be in trouble. The difference in this one was a 3-run Devers dinger in the top of the 6th. Devers has joined the short list of players with 3+ postseason homers before their 22nd birthday. The other names on the list: Mickey Mantle, Miguel Cabrera, Bryce Harper, and Andruw Jones. Devers is now tied with Miguel Cabrera for second-most postseason RBI by players 21 or younger. Here’s Raffy’s line through 10 playoff games: 36 PA, .354/.417/.645, 3 HR, 12 RBI. I’m starting to think this kid might have a bright future ahead of him. That’s right, Jackie Bradley Jr. was the most valuable player in this series. He only had 3 hits in 17 at-bats, but he made each one count. 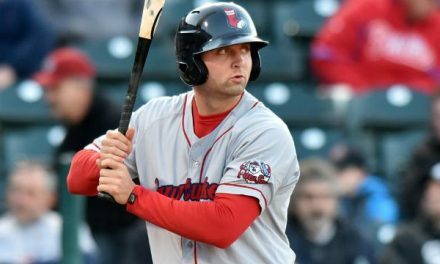 His 9 RBI were a series high, and the Sox absolutely could not have done it without him. Bradley has often been a divisive player, whose defensive prowess is consistently at odds with his lack of offensive consistency. But, he’s the longest tenured everyday player on the roster, and it’s awesome to see him have his moment in the postseason. What a sick twist of fate that Game 4’s controversial fan interference call was essentially erased by an almost identical play by Betts last night. If you needed any more evidence that the Curse of the Bambino is long gone, look no further. Alex Bregman probably regrets logging into Instagram before Game 3, huh? Price wasn’t about to let him forget it, either. Good news is the Astros third baseman will have plenty of time to mull things over this winter. Cora was occasionally unconventional, and occasionally left me scratching my head over some of his choices. None of it mattered. He’s pushed just about every right button through the first two rounds of postseason play. Nathan Eovaldi has been nails all postseason. He came up big yet again with four outs late in this one, to bridge the gap to Craig Kimbrel in the 9th. For all of the chatter about Dave Dombrowski’s inability to address the bullpen midseason, he absolutely crushed the Eovaldi and Steve Pearce acquisitions. Craig Kimbrel wasn’t perfect, but he looked better than he has in weeks. Hopefully that’s a sign he’s coming out of this funk. Here’s Andrew Benintendi’s game-winning catch from Game 4 again, because I can’t stop watching it. The Red Sox have 4 more wins to go before winning their 4th championship in 15 seasons. October 23rd can’t come soon enough. For now, time to celebrate. What a night, what a series, what a win.